Step 1 : Divide the top part of your hair into two sections. 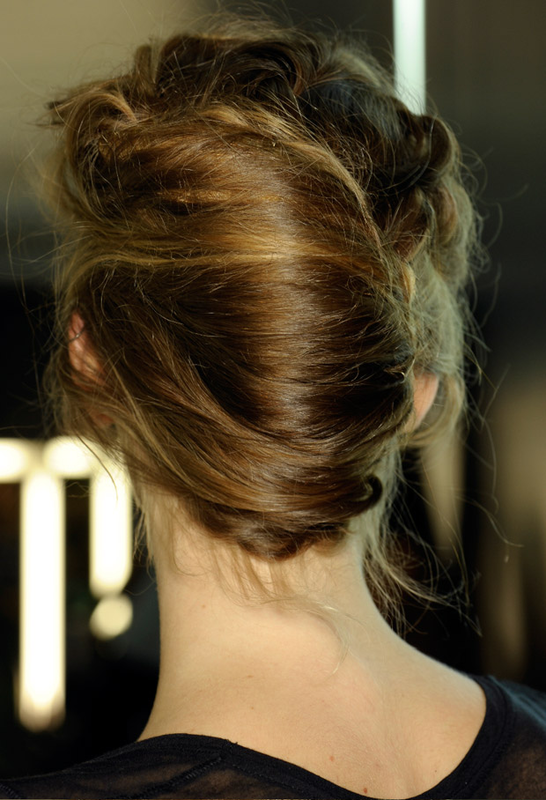 Step 2 : Grab a 1/2 inch strand of hair from the left side and bring it to the right side. Pull tight. Next, grab the same thickness of hair from the right side and bring it to the left side, making sure to keep each side separate from one another. Pull tight. 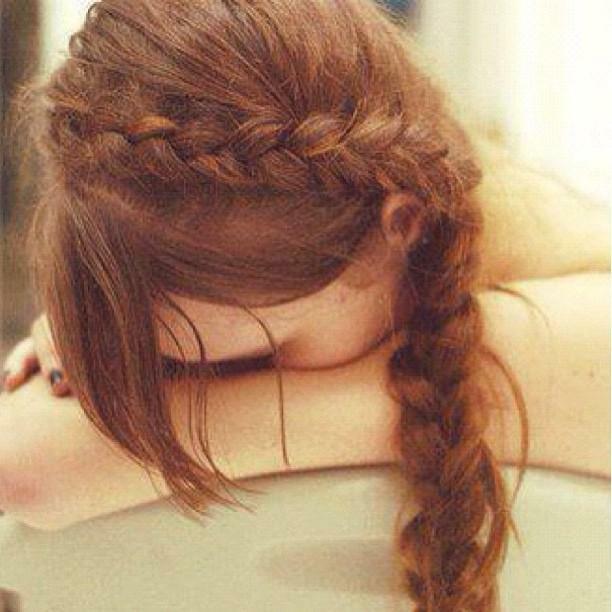 Do this without twisting hair under like a braid. 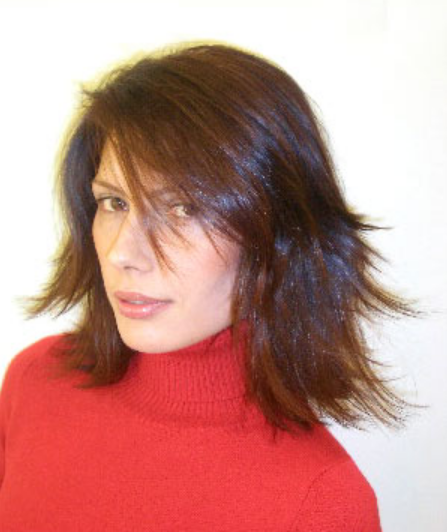 This is simply moving one small section of hair to the opposite side. Step 3 : Keep repeating these steps until you run out of hair. Step 4 : Once your done, secure with an elastic and you can pull out a few strands and curl them or crimp them or whatever you feel like doing, just to give it a more relaxed look.